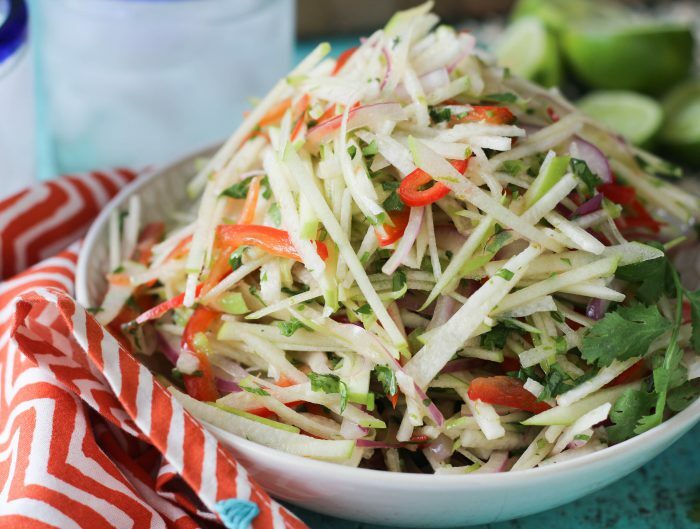 I could not be more excited for this guest post today by Caroline Potter from Colorful Eats. Because today is a very special day. It’s her cookbook release day!! Caroline has officially come out with her absolutely stunning, truly delicious book All-American Paleo Table cookbook that is filled with classic grain free eats and treats. With recipes like Fried Banana Stuffed French Toast, Fried Chicken Cobb Salad, Pulled Pork Sandwiches, and Garlic Bread bites, you’ll be sure to have a recipe for any occasion, for any time of day and for any craving. But the recipes aren’t the only wonderful thing about this book. Caroline’s photography lights up on the page and makes you feel like you’re on a tropical vacation with her Hawaiian Acai Bowls or sitting around your Thanksgiving table with her Sausage, Apple, Mushroom Stuffing. Every single one of her recipes in her new book gets you excited about getting in the kitchen and even more excited about eating grain-free. I’m seriously so pumped about this cookbook and so pumped for Caroline because she is truly a kind, sweet person who should be recognized for her accomplishment. So while you wait for her book to ship, try out one of her amazing recipes she created just for you guys! Hello friends! I am so excited to be sharing one of my favorite weekend traditions with you all today. Although I am no where near as funny as Juli, we do have two things in common—our crazy love for our pups and our love for eggs Benedict…and those are pretty good things to have in common I must say! 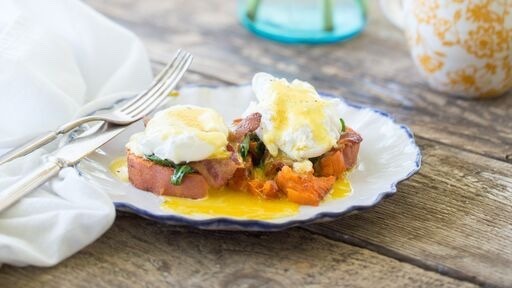 I absolutely love eggs Benedict and I may joke on many occasions that I could (and do!) eat Hollandaise sauce by the spoonful, yeah you know you want to too. It’s seriously just too good not to resist. 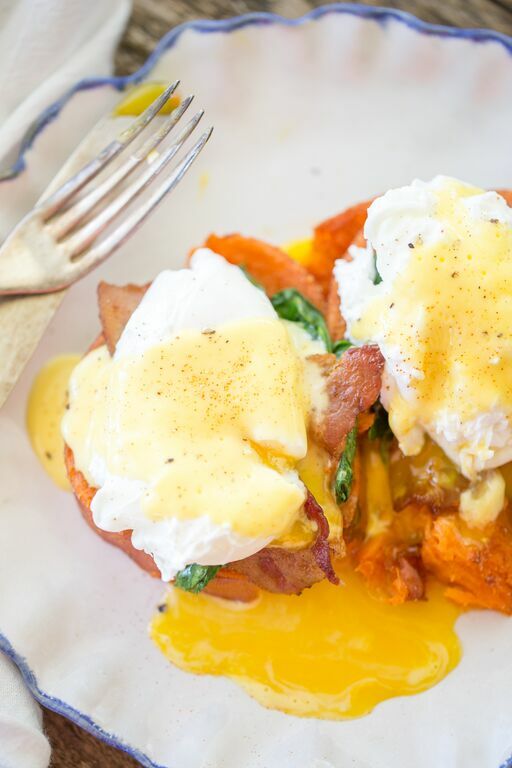 Whenever I go out to brunch, I always want to eat eggs Benedict and since I cannot eat grains or gluten, usually restaurants are always so accommodating to serve them over sautéed spinach or roasted potatoes. And then most often the server responds, “But the muffin is the best part” I laugh and think to myself, no the Hollandaise is for sure the best part! The chipotle potatoes are so yummy with the perfect smoky flavor and I decided to smash them so that they would be slightly more flat resembling an English muffin. You could always just chop and roast them too if you want to save a step and an extra pan to clean. Enjoy! Bring a pot of water to a boil. Slice your sweet potatoes into thick rounds and boil them for 15 minutes. Drain completely of water. 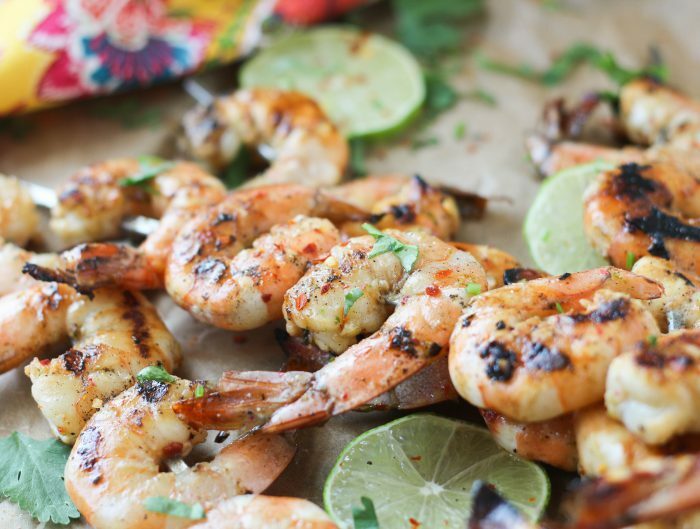 Mix together your sea salt, chipotle and garlic to create a spice blend. Place the sweet potatoes onto the parchment lined baking sheet and use the back of a large spoon or bottom of a glass to lightly smash them. Drizzle the tops with olive oil and sprinkle with the chipotle salt mix. Flip to the other side and drizzle with the remaining olive oil and salt mix. Roast the potatoes for 15 minutes. Meanwhile, make the hollandaise sauce by adding the egg yolks, lemon juice and salt to a blender. Briefly blend until smooth. With the blender still running, slowly drizzle in the melted butter until your sauce begins to thicken. Poach your eggs and cook the bacon, and sauté your spinach in the leftover bacon grease. Plate with a smashed potato, some sautéed spinach, a slice of bacon and top with a poached egg and generous spoonful of Hollandaise sauce. Caroline Potter is a Nutritional Therapy Practitioner and blogger at colorfuleats.com. 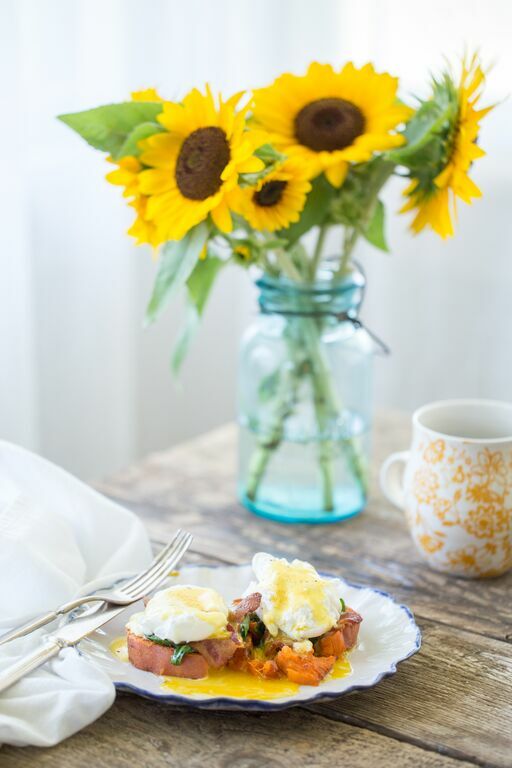 After being diagnosed with Type 1 diabetes in college, Caroline developed a love for re-creating her favorite comfort foods using healthy ingredients and a passion for food photography. 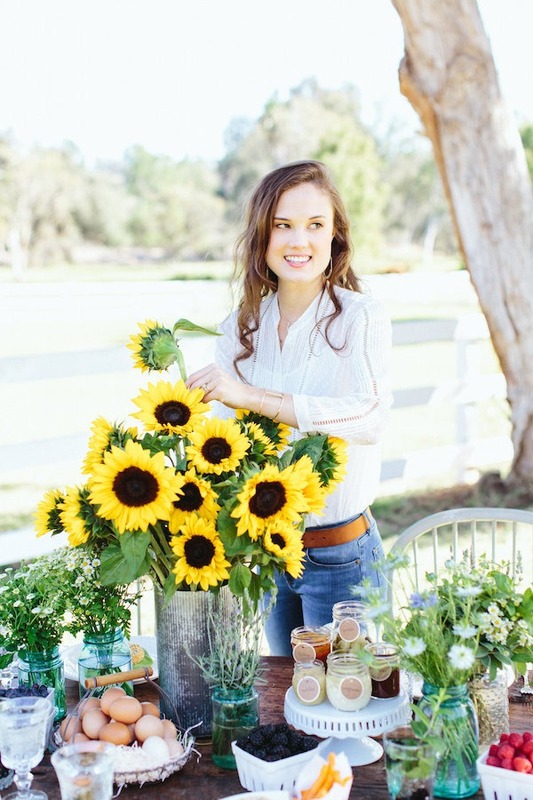 Her first cookbook, All American Paleo Table, comes out just next month! Those look amazing, and I don’t think I’d miss the muffin. I might win try these out for dinner this week. This looks amazing and reminds me of a recipe for ‘crash potatoes’ that my friend just sent me! I only like white/yellow/non-sweet potatoes in their french fry version, so Crash Potatoes didn’t sound that amazing, until I though to maybe try them with sweets and then I saw this! I thought I was semi-inventing something, but nope, I wasn’t. I’m definitely going to try this! This was delicious! It’s definitely one of my new favorite paleo recipes, I will be making this one again. 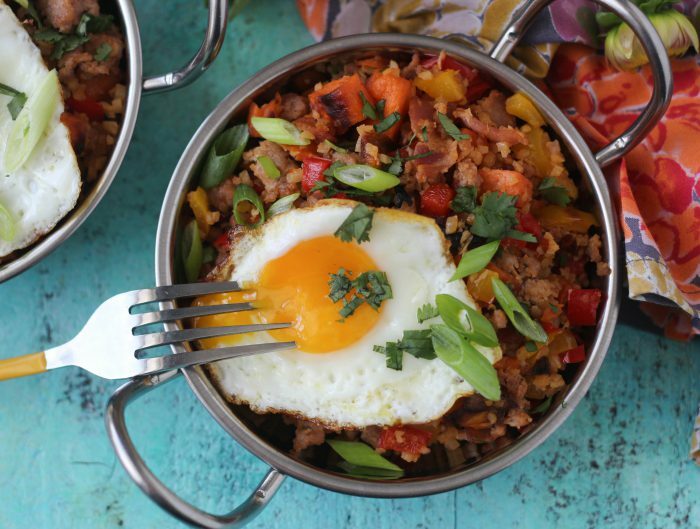 It is a little spicy and loaded with flavor. There are a lot of steps and different things going on in this recipe though, so I will save it for weekend nights. Great recipe, thank you!!!! !